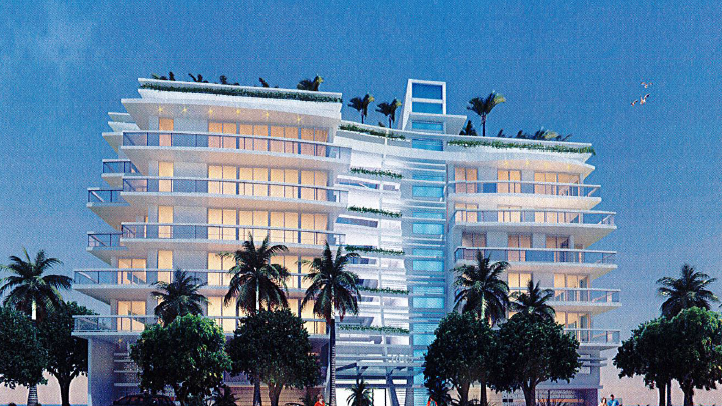 The Sophie by Allure condo project was approved by the Bay Harbor Islands Planning and Zoning Board on June 21. That mean s the 26-unit project just needs to obtain permits from the city. Located at 1045 92nd Street, the seven-story building would have units ranging from 1,105 to 2,355 square feet. It would have 46,501 salable square feet. The 26-unit Sophie by Allure condo is proposed at 1045 92nd Street in Bay Harbor Islands. The applicant is Allure Development Group, of Houston. The project was designed by Frankel Benayoun Architects. Sophie by Alure would include a rooftop pool, a fitness room, a yoga room and 53 parking spaces. The project would sit on a half-acre, although it would not have water access. According to CraneSpotters, there are 27 new condo projects in Bay Harbor Islands, which is in Biscayne Bay just west of Bal Harbour.